Puritan writings often contain a depth of understanding and insight that is all too often lost in modern Evangelicalism. 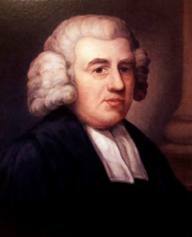 John Newton, most famously known for his hymn Amazing Grace, is among the Puritans who still feed the souls of saints with insight. Newton, like Bunyan before him, was not initially a scholar or man of great academic achievement. The following excerpt is from Letters of John Newton, specifically the letter called “Grace in the Blade.” Newton is here describing the character and evidences of a Christian. Not only can the Puritan’s provide great comfort, but also conviction and warning: this, it seems, can be evidence of both comfort and fear. This entry was posted in Church History and tagged Christianity, John Newton, Puritans. Bookmark the permalink.